This weekend I went to a new place called A Divine H2O. 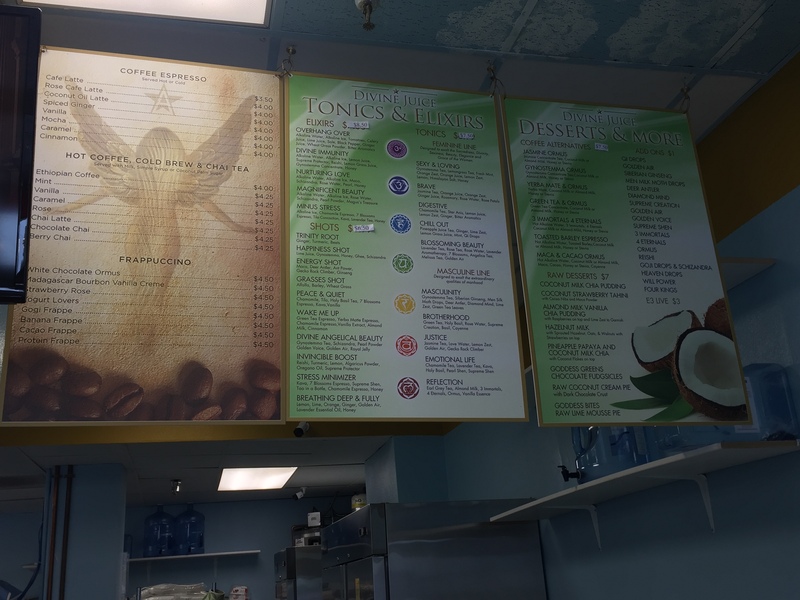 They have alkaline water there and smoothies and they had just recently opened this location in West Los Angeles. Their other two locations are in Sherman Oaks and West Hollywood. My mom saw it and we decided to try it out. We did not leave disappointed. The woman who works at the shop is named Amina and she is the sister of the owner. Amina told me she lived in Ethiopia and says that anybody who walks through the door is part of her family. I asked her “what if somebody came in and stole a bunch of money and ingredients?” Her answer was “yes, they would still be part of my family.” It really surprised me when she said that because I thought a mean person would be your enemy but if a nice person came in they would be your friend. I am going to think about this some more. 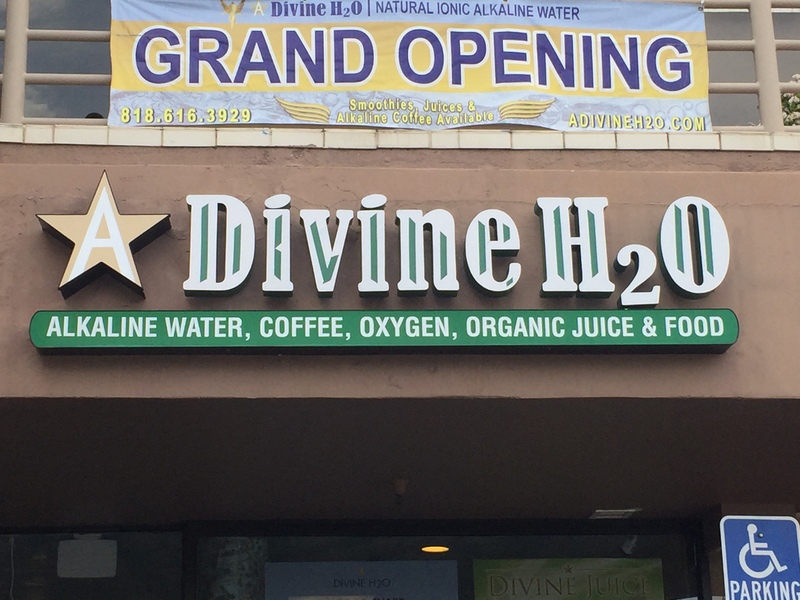 A Divine H2O and their customers and volunteers also feed the homeless. At the end of every month they feed over a thousand homeless and hungry people. I like helping the homeless too and as we were walking back to the car me and my mom said we would be interested in helping hand out food with them. I ordered a smoothie called Oracle Sight. It was not too long before a great sight appeared. 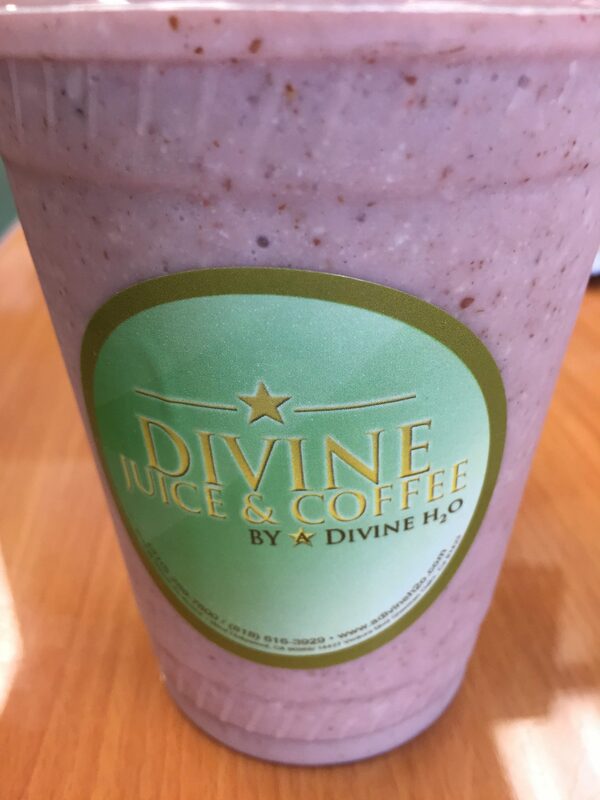 My smoothie was a pinkish color with lots of brown dots inside. The ingredients were coconut milk, banana, blueberries, blackberries, goji berries, vanilla bean, protein powder and lavender essence. Everything is organic. My mouth watered feverishly. I drank my half of my smoothie super fast. I had to give the other half to mom because they were really big and we agreed to share. 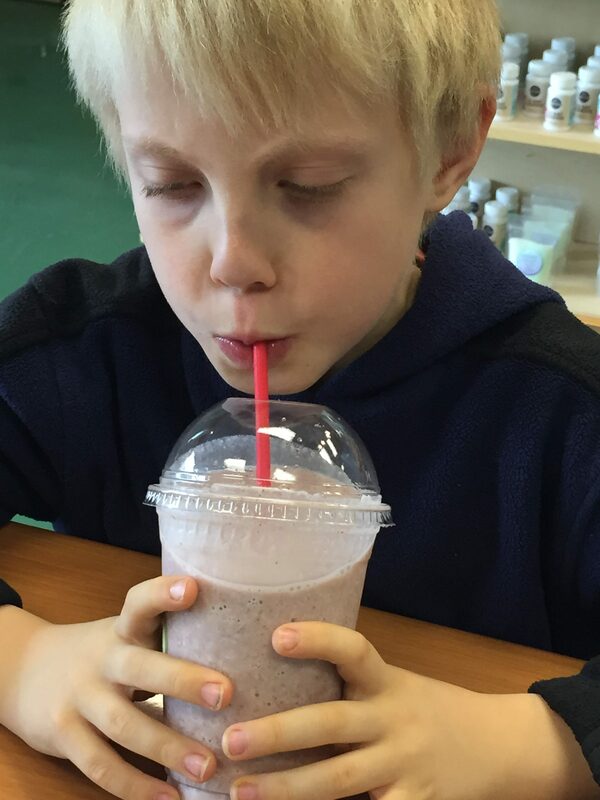 Although I could have probably eaten two whole smoothies without breaking a sweat. As we were leaving I told Amina that I had a smoothie recommendation. 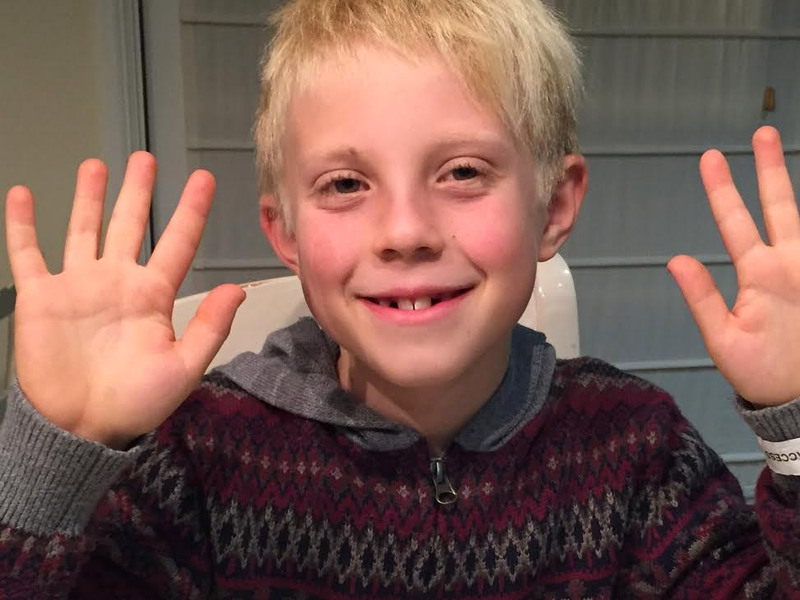 I would call it Max’s Vanilla Dream. It would have vanilla, banana, blueberries, and almond milk. Amina said that she would put it on the menu! This place is really awesome and you should definitely try it. Don’t forget to try Oracle Sight and maybe even Max’s Vanilla Dream. Sounds like a great place, Ma. Thanks for the heads up! If I’m ever in the ‘hood, I’ll stop in…and order the Max’s Vanilla Delight! Probably, if you ask them!